Pikmin 3 is the first full Pikmin title the gaming community will have a chance to play since the series had its time on the Nintendo GameCube. This Shigeru Miyamoto project will also be one of Nintendo’s biggest titles once the Wii U launches later this holiday. I had a chance to play the demo in the press area of Nintendo’s booth earlier today. It’s Pikmin, folks. It’s also gorgeous. My demo was split into two segments: I was either charged with exploring an area and collecting fruit or fighting a boss. I did both. The fruit collection in this game happens exactly like it did in earlier Pikmin titles. Players are dropped into the environment below their ship and sent off to gather more Pikmin and use them to attack foes and gather goods. That’s what I did, and it felt exactly like the Pikmin I remember. The boss battle was fine and dandy, too, as I took on a big monster with a hard shell. One of the new types of Pikmin is the Rock. I used those fellows to crack the armor off of the boss, and then I switched to my Reds to deal damage to their exposed skin. It worked well, and this simple boss mechanic will likely repeat as the game progresses. 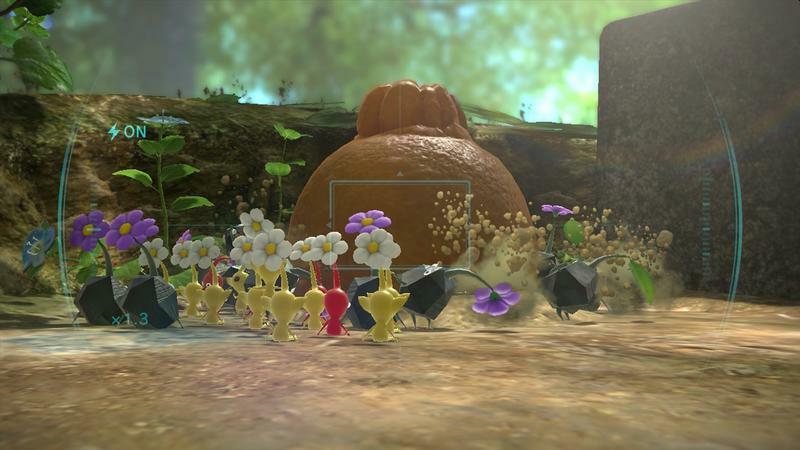 Find new Pikmin, use their abilities to open bosses for attack. Pikmin 3 looks great. It’s easily the best looking game I’ve seen for the Wii U so far. The HD visuals are crystal clear, and the nature effects are wonderful. Especially the water. It helps, too, that Nintendo’s property is especially colorful. Pikmin 3 pops off of the screen in play. I didn’t even use the GamePad. That’s right, I played this game with the standard Wii Remote and nunchuck combination. The GamePad is available for play, of course, but my demo featured the Wii Remotes only. I picked it up and instantly knew what I was doing based on the Wii port of the game. It’s Pikmin in name and control, and that meant I was quickly at gathering fruit, fighting enemies and carrying their poor corpses to my ship. You point to aim your cursor at the screen, press A to throw your different Pikmin (I saw Reds and Rocks in this demo) and move with the nunchuck. It’s dead easy and instantly approachable to anyone who’s spent even a fraction of time with the Wii. Is this Nintendo’s perfect launch game? I will say that I am an avid fan of the Pikmin franchise. I played the other titles on the GameCube, and I even managed to play a Japanese version of the Wii ports a year or so ago. Pikmin 3 is my Wii U game. It’s the game that, once announced, secured whether or not I’ll be getting Nintendo’s newest console. I know that there are fans of the series out there like myself who would likely say the same exact thing. I also recognize that us fans are likely in the minority when it comes to the bulk of gamers. 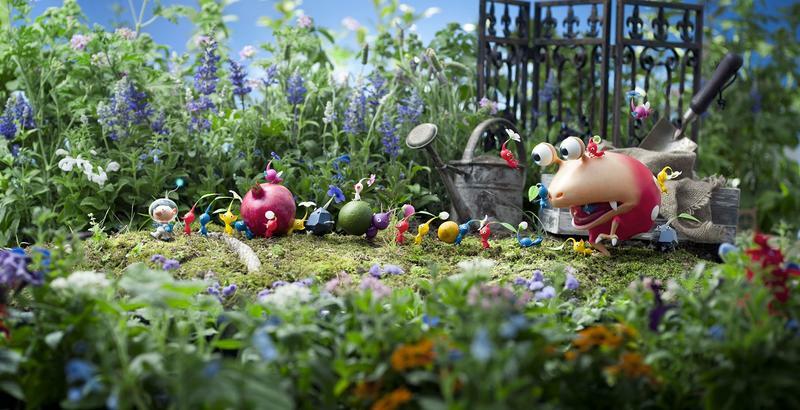 Pikmin 3 looks beautiful, but it’s only a system seller to those that already love that franchise. For everyone else? I’m not sure. This game, though, is brilliant. It’s bound to be one of the Wii U’s best titles.